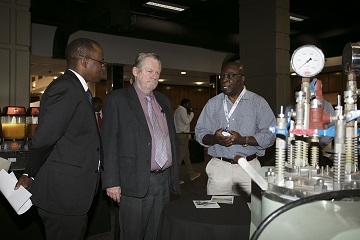 The Minister of Trade and Industry, Dr Rob Davies, addressed scientists, engineers and researchers from public and private sector at the 6th CSIR Conference that took place on 5 and 6 October 2017 at the CSIR International Convention Centre in Pretoria. Minister Rob Davies emphasised that in order for South Africa to be globally competitive, it needs to find new ways of boosting the economy through industrial development. The Minister of Trade and Industry, Dr Rob Davies, addressed scientists, engineers and researchers from public and private sector at the 6th CSIR Conference that took place on 5 and 6 October 2017 at the CSIR International Convention Centre in Pretoria. Under the theme ‘Ideas that work for industrial development’, the conference aimed to provide an interactive platform for stakeholders to share their experience and insights on broader issues relating to South Africa’s industrial development, as well as to engage on how stakeholders can collaborate to address the challenges and opportunities of industrial development. Minister Rob Davies emphasised that in order for South Africa to be globally competitive, it needs to find new ways of boosting the economy through industrial development. “The CSIR conference theme of “Ideas that work for industrial development”, is important and relevant as the premium for innovation has raised significantly especially with the adaptation to local technologies being unleashed as one of the most dominating domains that should be adopted to improving local challenges”, said Davies. He also alluded to the fact that South Africa needs to strengthen government relations with science and technology organisations in order to support industrial development and accelerate efforts against any trade barriers that currently exist. According to Davies, too many local technologies have been exported because we could not commercialise them and this, is exactly why efforts to impact industrial development need to be strengthened. The Chief Executive Officer of the CSIR, Dr Thulani Dlamini, said a conference that focuses exclusively on how scientific, engineering and technological research can contribute to industrial development seems perfectly cogent. “If we are to decisively address South African challenges such as poverty, inequality and unemployment, we need to maximise our contribution to industrial development, through the establishment of new industries and enterprises, as well as the development of innovative technologies that contribute to South Africa’s competitiveness,” says Dlamini. The conference saw national and international speakers discussing topics in their areas of expertise. Amongst the esteemed speakers were Sizwe Nxasana, Founder of the Future Nation Schools and chairperson of the NSFAS and the National Education and Collaboration Trust spoke on skills and innovation as a driver for industrial development. More speakers who will be discussing how infrastructure innovation enables infrastructure development are Jack van der Merwe, CEO of the Gautrain Management Agency and Lizeka Matshekga of the Industrial Development Corporation amongst others. Dlamini also stated that engaging with stakeholders on ways to strengthen the CSIR’s role in industrial development and providing solutions that add value to some of South Africa’s pressing challenges is something that the CSIR looks forward to. 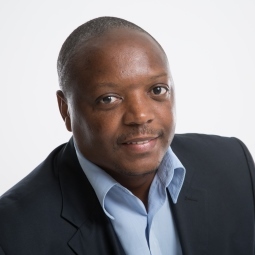 “The conference programme features many of our industry partners – collaborations that bode well for ensuring that the CSIR’s innovation portfolio is aligned with what the industry needs,” says Dlamini. Topical issues to be discussed include emerging manufacturing technologies, cybersecurity threats to industry, the link between water and industrial development, digitisation to foster industrial development and the development of SMMEs in the bioeconomy sector. The conference exhibition showcased CSIR-developed technologies that are benefiting an array of sectors, from mining and energy, to aerospace and defence. The CSIR is one of the leading scientific and technology research, development and implementation organisations in Africa. Constituted by an Act of Parliament in 1945 as a science council, the CSIR undertakes directed and multidisciplinary research, technological innovation, as well as industrial and scientific development to improve the quality of life of all South Africans. For more information, please visit www.csir.co.za.